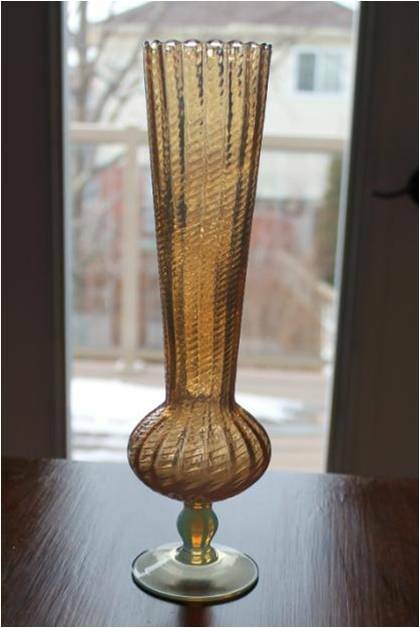 I found this vase on the weekend in Pickering. It caught my eye (the second time around the Market). 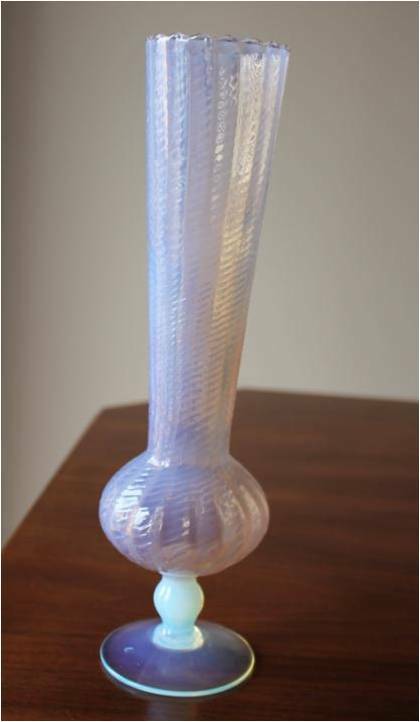 I thought it had the look of the Foval line of Fry Glass. So….of course it came home with me. It’s not leaning (I was). This isn’t green and I don’t think it’s cased either. Opalescent or opaline. I saw some examples, with some resemblance, that are attributed to Stelvia (Società Toscana Esercizio Lavorazione Vetri Industriali e Artistici). 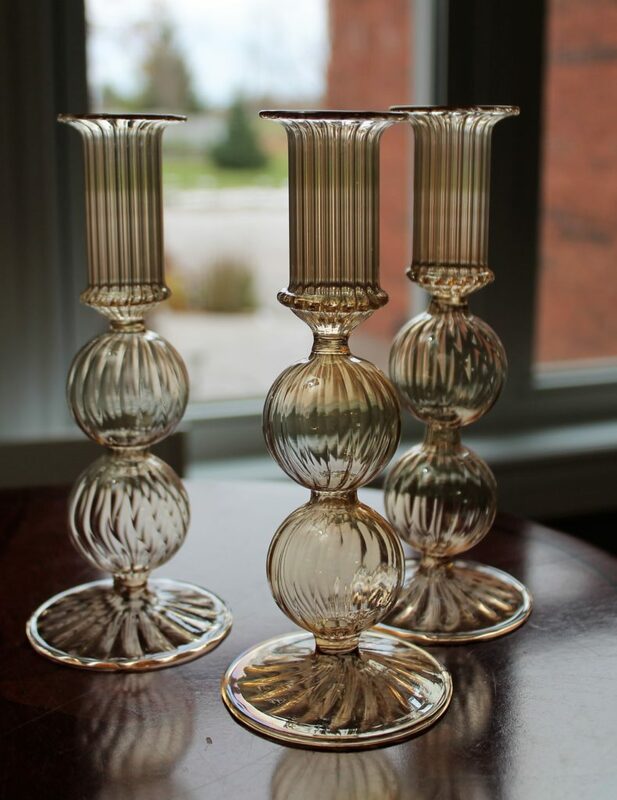 According to the 20th Century glass this company was in existence from the 1950s-2001. This is an interesting piece. It is a colour-shifter. Dramatically changes hues depending on the lighting. In the second photo you can see that the vase glows amber when exposed to natural lighting. Sometimes it takes on a very blue hue, but most of the time it looks pinkish. I am going to keep this for now and keep trying to identify it. I still would like a piece of Foval though!